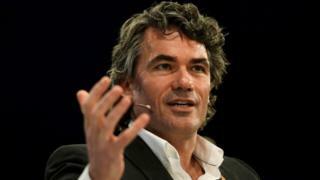 BT's chief executive, Gavin Patterson, is to step down after the company said a change of leadership was needed.The company said a poor reaction to its latest results, in which BT set out plans to cut 13,000 jobs, had prompted the move.BT said Mr Patterson, who has led the firm for five years, would remain in his post until a successor is chosen later this year.Mr Patterson has been at BT for 14 years, 10 of those as a board member.Under Mr Patterson's leadership, BT established itself as a major sports broadcaster, with the rights to screen a significant number of Premier League games. The company's shares are at a six-year low. The restructuring plan announced last month was intended to cut costs, improve profits and release cash to invest in 5G. Days after the restructuring announcement, the company revealed Mr Patterson was paid ?2.3m last year, including a ?1.3m bonus and a 1.5% rise in his basic salary.Friday's statement said he would "not now be receiving the 2018 incentive share plan award", which was set out in the latest annual report.BT chairman Jan du Plessis said: "The board is fully supportive of the strategy recently set out by Gavin and his team. "The broader reaction to our recent results announcement has, though, demonstrated to Gavin and me that there is a need for a change of leadership to deliver this strategy. "Mr Patterson became managing director of BT's consumer division in 2004. He was appointed chief executive of the BT Group in 2013. He said: "It's been an honour to lead BT since 2013 and serve as a member of the board for the last 10 years. "BT is a great business and with the new management team I've recently put in place is, I believe, very well-positioned to thrive in the future."